NJ TRANSIT operates an extensive bus network of intra and interstate routes throughout New Jersey and into New York and Philadelphia. There are many local routes, 600, 601, 603, 605, 606, 607, 608, 609, 611, 612, 613, 619, and 624 within Mercer County. Find the route that’s right for you and get on board. 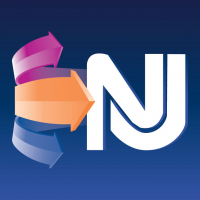 To view NJ TRANSIT’s Mercer County Bus Routes on our interactive map, click here. To plan your bus trip on NJ TRANSIT, click here. NJ TRANSIT’s Access Link service is available for persons whose disability does not allow them to use the regular bus service. For information, click here. freeB is Princeton’s free bus service that travels throughout the community. For schedule and map click here. Free bus service between Hamilton Marketplace and Matrix Business Park at 7A, including Amazon. For schedule information, click here. For new schedule effective Saturday, April 6, click here. Free van service to Amazon sort center – PNE5 in Robbinsville Township. ZLINE2 will meet NJ TRANSIT buses and some Rt. 130 Connection bus trips at the Hamilton Marketplace Ruby Tuesday bus shelter in Hamilton Township. For schedule click here. Rt. 130 Connection bus service to MCCC – West Windsor Campus to and from East Windsor/Hightstown, click here. Princeton University’s TigerTransit transportation system operates on a fixed route schedule throughout the Princeton campus and surrounding community. The service is open to the community. To view the TigerTransit routes and schedules, click here. TRADE provides non-emergency transportation to residents of Mercer County who are 60 years of age and older and to people with disabilities. For information, click here. Service between East Windsor/Hightstown and Princeton Junction Rail Station. Middlesex County operates two fixed bus routes (M1 & M6) that provide service in the Greater Mercer TMA area. For schedule information, click here. To learn about it, click here. For current schedule and map, click here. Operates between the Neshaminy Mall in Bucks County, PA and the Trenton Transit Center. For information, click here. Suburban Transit provides service to the Port Authority Bus Terminal in New York City from Mercer County. Daily express and local bus service operating throughout the day between Princeton, Kendall Park, New Brunswick, North Brunswick, East Brunswick and the New York Port Authority Bus Terminal. Daily express and local bus service operating throughout the day between Princeton, Twin Rivers, Monroe, So Brunswick (8-A), Hightstown, the New York Port Authority Bus Terminal, Grand Central – 59th St and Madison Ave. Weekday express and local rush hour bus service operating between Princeton, Kingston, Kendall Park, Franklin Park, North Brunswick, New Brunswick, Old Bridge, East Brunswick and Downtown Manhattan (Wall Street). To download schedules, click here.